The attached document highlights the new rulebook changes effective immediately. If you have any questions, please contact us! It is safe to say that without Brenda, the SDDA probably wouldn’t exist. While we all loved the activity of detection and were interested in getting involved in the sport, it was Brenda who provided the necessary kick in the pants to cause the three of us founders (Karin Apfel, Stacey Shaw and Brenda) to pool our meagre resources and start up a brand new not-for-profit organization dedicated to a sport no one we knew had ever competed in. “If we don’t do it we’ll regret it. And we should do it soon before our dogs get too old to play!” said Brenda over one of our post-seminar dinners. “We can do this.” Could three trainers with varying perspectives on training and sport work together without acrimony and create something they all could be proud of? With the drive and determination that characterized her training in obedience, field, conformation and a variety of other dog sports, Brenda pushed us to think big and to be confident enough in the sport that the many sacrifices that were made would be worth it in the long run. We argued over everything from the look of the certificates to the judging criteria, but she was right. Again. Somewhere across the rainbow Brenda is smiling, the final victory hers. “I told you so!” she’d say with a wink. Godspeed my dear friend. We will miss you. As you all know, the current Registered Participant status is based on calendar year renewal (January to December). We are pleased to announce a change in this policy. Renewals will no longer be based on the calendar year but provide a full 12 months from the date of previous renewal or registration. This change will resolve several issues, namely those who sign up mid year and only benefit from half a year’s worth of benefits. This change will also resolve the confusing timing issues from the past (sign ups after November 1st allowed remaining of year plus the full next calendar year) and allowing people up to 2 months into a calendar year to renew. In lieu of these unclear renewal periods, our new system will automatically email individuals 60 days, 30 days and the day before their RP status will expire. The transition will be different depending on when you registered. Those people who registered or renewed in 2017 will have their renewal dates changed to their registration or renewal date. Those who registered or renewed before January 1st, 2017 will expire on December 31st, 2017. This rolling renewal process will lighten the load considerably on our volunteers and allow for a more balanced year and less confusion around RP status. The web site will provide for you your current status and your renewal date so you will know when to expect to renew. If you have not already, I encourage you to log into the new website (instructions were provided in the last newsletter) and review your information. If you have any questions about this change, please do not hesitate to contact me. Dogs that have achieved a title (passed all 3 components at any level) must also enter the Working stream if they compete at that level at the next trial event (after their title has been processed). Once they move onto the next level, they may again trial as Amateurs. There are two competition streams: Working (W) and Amateur (A). Handlers or dogs working or previously employed in a professional capacity in detection as well as scent detection instructors/coaches/trainers/judges must enter the Working stream and will be ranked and placed (if placements are offered) separately from Amateurs. Advanced Level: The component scores for the Advanced title total 200 points. The Container Search is scored out of 60 points, the Interior Search is scored out of 80 points and the Exterior Search is scored out of 60 points. Dogs must achieve 50% of the total score of each component for a passing/qualifying score PLUS find all available hides in each Component search. The final score is tabulated by dividing the score out of 200 by two (2) to reach a percentage that will be reflected by the title classifications (see below). An initial Special title and all Elite titling scores will be considered only as single scores. Leaving the search area – a dog or handler moves entirely out of the search area boundaries due to distraction or avoidance. At the judge’s discretion, leeway may be given to dogs that are working odour that may have drifted out of the search area. There will be three interior search areas (“rooms”). One will have one hide, one will have two hides and one will be clear. The clear room must be declared clear by the handler by raising his/her hand and saying “Clear”. Before a team can move from one room to another, they must call the number of hides in that room. Five (5) titling scores at the Elite Level. At least two (2) scores must be gold and scores must be achieved under at least two (2) different judges. A MACH title PLUS five (5) titling scores at the Elite Level. At least three (3) scores must be gold and scores must be achieved under at least three (3) different judges. This should be submitted to the SDDA for approval a minimum of 60 days prior to the trial date. If you haven’t noticed already, we have made some big changes with the web site! We have modernized not only the site itself, but linked our web site to our database to allow for dog owners and Registered Participants to log in and view their profile details and assigned numbers. Additionally, we have invoked a new process where you will be assigned an RP or dog number almost immediately so no more waiting! With these big changes, we are introducing new payment methods. Unfortunately PayPal has been just too costly to maintain. E-Transfers have also been difficult to track and maintain. Both have now been replaced with a new service that will allow you to use a credit card directly, or complete an electronic cheque for direct debit from your account. The service is highly secure and we do not keep any of your information stored in our databases. If you would like more information, you can go to iATS Payments online to learn more. As such, the ‘Pay Later’ option has been removed since you now can do the electronic cheque or direct debit, which was the purpose of the Pay Later option. We are continuing to make improvements to the site and the services provided to you. 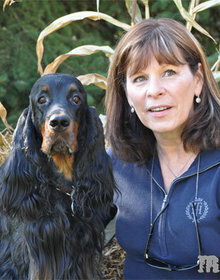 If you run into any problems, please feel free to contact us at info@sportingdetectiondogs.ca. Below are the many changes to our rule book. Of course, the rulebook available here is up to date, but this just clarifies what we have changed. Besides the judge and timer, only non-competing officials or official trial photo/videographers may be present during any search, except in the case of an assistant to a disabled person or the parent of a minor. Handlers may request an exception for a non-competitor or a previous competitor to be in the search area. There are two competition streams: Working (W) and Amateur (A). 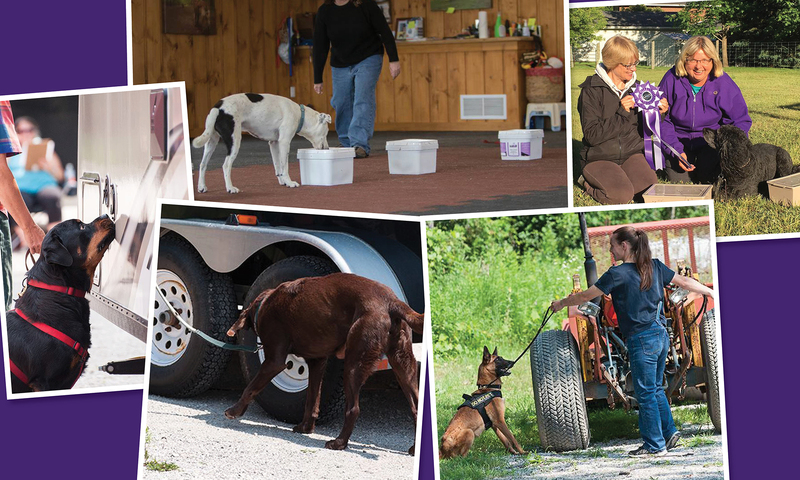 Handlers or dogs working or previously employed in a professional capacity in detection as well as scent detection instructors/coaches/trainers must enter the Working stream and will be ranked and placed (if placements are offered) separately from Amateurs. There will be no change to search areas or hides for Working stream competitors, but a higher level of proficiency may be expected. For an Elite title, all 3 Components must be passed at the same trial to title. Elite Level: The component scores for the Elite Level total 200 points. The Container Search is scored out of 60 points, the Interior Search is scored out of 80 points and the Exterior Search is scored out of 60 points. Dogs must achieve 50% of the total score of each component for a passing/qualifying score PLUS find all available hides in each search area and call any clear areas. The final score is tabulated by dividing the score out of 200 by two (2) to reach a percentage that will be reflected by the title classifications (see below). Each Elite component must be passed at the same trial day in order to achieve a title. Each component search will be timed and all available hides must be found within the time limit for each component. If necessary for placement ribbons or trophies, ties in component/stream placements will be broken by time with the faster time getting the higher placing. Competitors may enter any components that they have previously passed in order to bank a higher score or to attempt to achieve a Special as long as the dog has not yet titled. For Championship and Master Championship titles, competitors may aggregate their highest scores from each passed component, but each passing score may only be used once towards a titling score. An initial Special title will be considered only as a single score. Leaving the search area – a dog or handler moves entirely out of the search area boundaries (at the judge’s discretion, leeway may be given to dogs that are working odour that may have drifted out of the search area). Each component must be passed at least once in order to achieve a title. A Formal Alert is scored and the judge must be informed what it will be (up to two allowed). The handler must call all finds. Two hides are placed out of easy view in an outdoor area containing approximately 15 – 20 potential locations for hides. Locations may include furniture (picnic tables, patio chairs etc. ), vegetation, fences, retaining walls or planters. The area search may contain one vehicle. A Formal Alert is scored and the judge must be informed what it will be (up to two allowed). The handler must call all finds and the clears. Class description: There will be 20 containers in any pattern in the search area. There will be 2 to 4 hides placed somewhere in the pattern as well as two to four distractors. The number of both will be unknown to the handler. Two timers are required with the recorded time the average of the two. This is a Pass/Fail contest with time determining the winner. The hides and distractors remain the same for all dogs. No second dogs to be run in the same class. Hosts may offer this class as often as they wish during a trial event. Entry fees for each class will be shared 50/50 between the host and placing teams. Number of placements will be determined by the host. If there are no completed runs (all hides found under time), winners will be chosen by random draw. Spectators are allowed where space permits. Advanced Class: Open to all titled and untitled dogs. Any combination of Pine or Wintergreen can be used. Vented boxes only will be used. Time limit 90 seconds. Excellent Class: Open to dogs titled in Advanced and up. Any combination of the three SDDA odours may be used. Containers can be any type of boxes or other items. Time limit 120 seconds.